This is a beautiful Italian Art Deco jewellery box, made in the 1920s/30s. 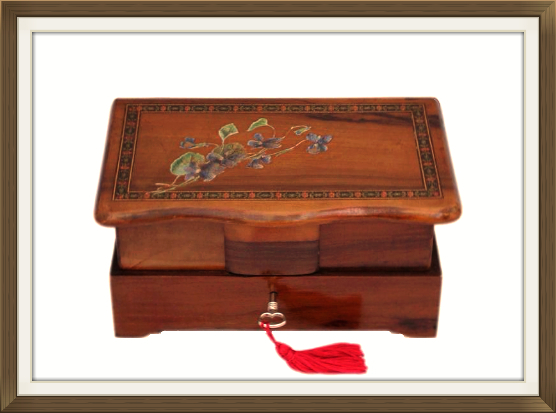 It is made of solid Olive wood and has its original working lock. The Olive wood has beautiful figuration and colour. We have provided some information on this variety of wood, further down in the description. 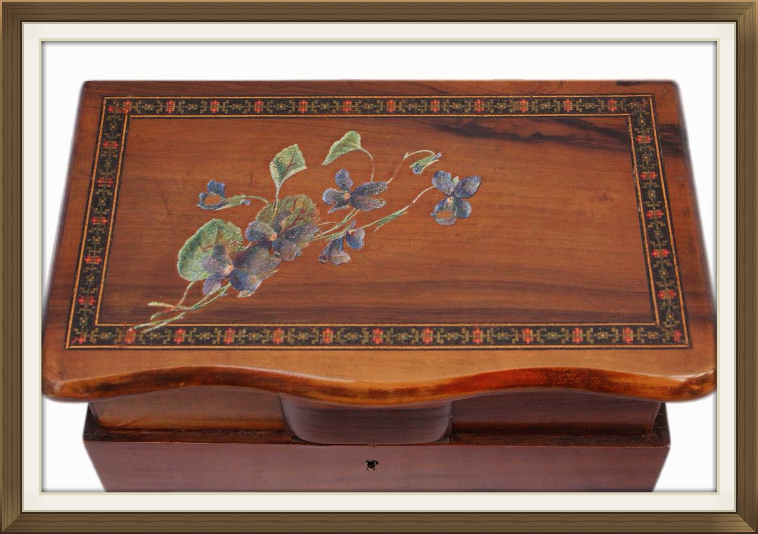 The lid has beautiful hand painted Violas/Pansies, surrounded by a tesselated, mosaic inlaid frame. 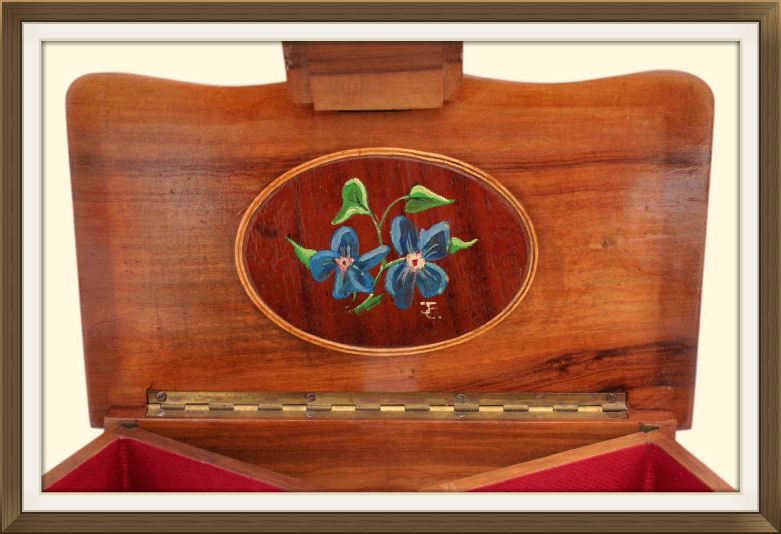 Please see our description of this type of inlay further down. The front side of the lid has been beautifully shaped into a flowing curved form. 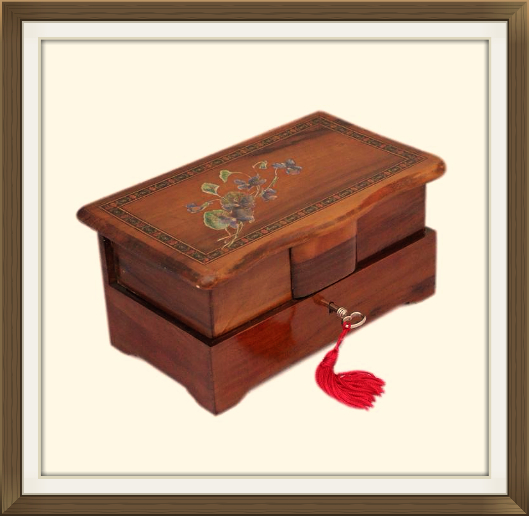 The box is complete with its original lock and has a decorative replacement key. It also has a lovely long piano stop hinge, which prevents the lid from falling back. 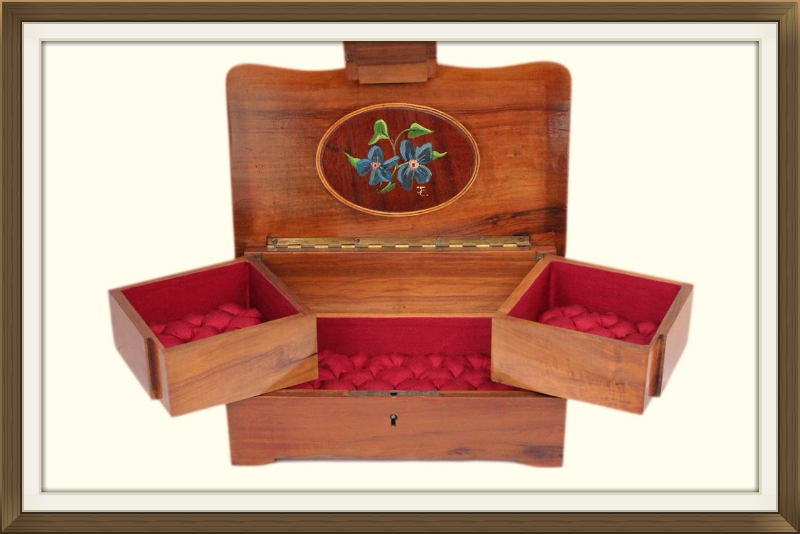 There are beautiful dovetail joints to both the box and its interior swing compartments. The flowers on the lid were most likely added as a form of symbolism. The Pansy/Viola has the endearing sentiment "Thinking Of You". This goes back to the Victorian era. This beautiful sentiment makes the box that extra bit more special! The interior has two swing opening compartments, and a further larger compartment beneath. 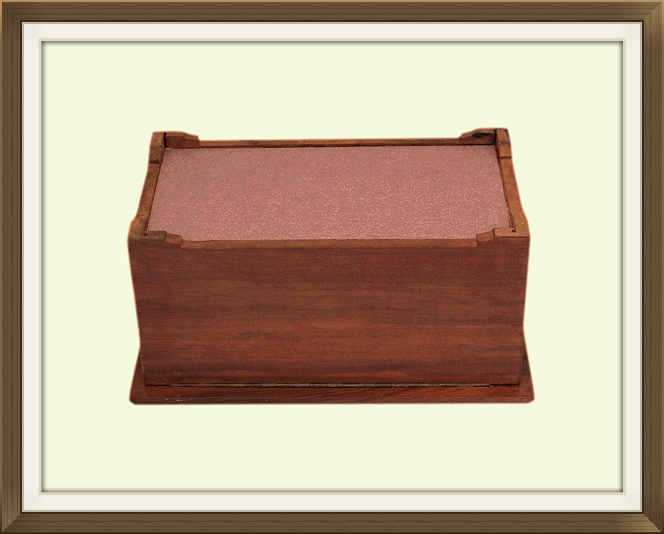 The compartments have their original quilted satin panels, and original satin linings. The satin is a beautiful deep red colour. The inside of the lid has a beautiful new, oval shaped Mahogany wood panel. This has been decorated with hand painted Pansies/Violas to compliment those on the exterior. The panel has been manufactured, hand painted, and initialed by our skilled box restorer. It is completely unique to this box! The base of the box has a lovely new, plum coloured paper covering. 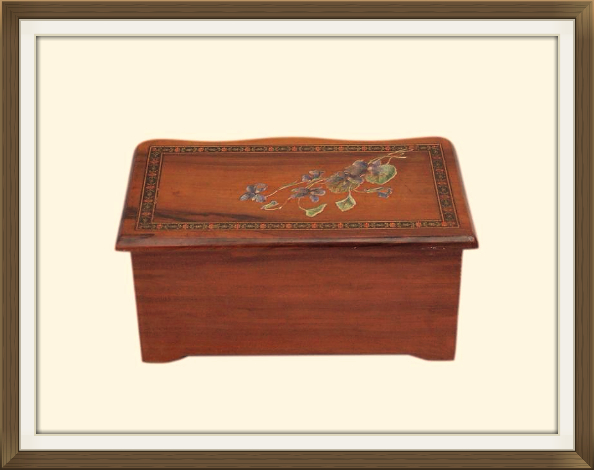 This wonderful box is in excellent condition for its 80/90 years of age. All of the inlay is present and intact, and the box is structurally sound. The interior linings/panels are in excellent condition with no splits or fraying. The exterior has some minor light age related wear/light surface scratches. There is a fine hairline age split to the front left of the box which is in no way unsightly. It is superficial and does not run deep into the wood. The hinge is in excellent working order and the box locks securely. Each 10.5cm square with a 2.8cm depth (approx). 17.0 by 8.0cm with a 2.8cm depth. International postage is £25, by International Tracked Post. Delivered fast within 5-7 working days.